Shipping Terms - Unless otherwise requested by Buyer and agreed by Schaefer, Schaefer will ship each product order using the shipping method selected by Buyer through the Site (either prepaid via FedEx, Common Carrier, or Courier or freight collect or third party billing using a carrier designated by Buyer). Stock items are generally available for shipment or pick-up, as applicable, within 1 to 3 business days of placing the order. Non-stock items are shipped directly from the supplier, and timing of shipment will be confirmed following placement of the order. If prepaid shipping is selected, shipping, handling, and packaging charges must be prepaid and will be added to the invoice. Regardless of the method of shipping, any extra charges for services requested by Buyer, i.e., special routing, inside delivery, or pre-delivery notification (in the case of prepaid shipping) must be paid by Buyer, and will be added to the shipping charges at order confirmation. Inside Delivery - Schaefer can only guarantee delivery to just inside the door of your building. The driver will not deliver up/down a staircase and may not be required to deliver beyond 10 feet of the building door. Please note that inside delivery to a building without a truck-high loading dock also requires liftgate service. Liftgate – Liftgate service is required for ground delivery. Without liftgate service, driver is only required to provide service to back end of trailer. Please note that 96” wide shelving units cannot utilize liftgate as trucks with liftgate are only 84” wide. Please call customer service with questions/concerns at (855) 300 2636. Residential delivery – Residential delivery must be specified for all deliveries to a residence. Residential delivery does not include liftgate service or inside delivery. Limited Access Delivery - Limited access delivery includes deliveries to churches, schools, military areas, and municipalities. Notify before delivery – Prior to a delivery, the Trucking Company will call to coordinate delivery time, which is typically within a four-hour window. Freight Charges -The Site provides Buyers with information regarding freight charges applicable to prepaid shipments in the contiguous United States. We will be happy to provide you a freight quote for shipment to areas outside the contiguous United States, including Alaska, Hawaii, Puerto Rico, Guam or any other U.S. territory or possession. Please call our customer service at (855) 300 2636 for a freight quote. Freight Collect or Third Party Shipping - In the event that Buyer selects freight collect or third party shipping, Buyer will be responsible for providing all necessary contact and shipping information. Stock Products -These are available for pick-up at Charlotte, NC. Non-Stock Products -Certain non-stock products may not be available for pick-up. Additionally, locations which have non-stock products vary according to product manufacturer. If you select the customer pick-up, freight collect or third party shipping option and additional charges apply due to unavailability of the product at the selected location, we will immediately contact you prior to shipping the product for your approval on the additional shipping charges. Please contact us at (855) 300 2636 for additional information on shipping locations. Stock availability is subject to change without further notice. If your order is not entirely available at one location, we will endeavor to contact you to discuss alternative shipping arrangements, including for shipping the remaining product to that location at your expense. Receipt of goods - Remember: You are the final inspector. Please confirm that your order is received without damage. Any deviation should be noted upon the carrier's bill of lading for damage and/or shortage. 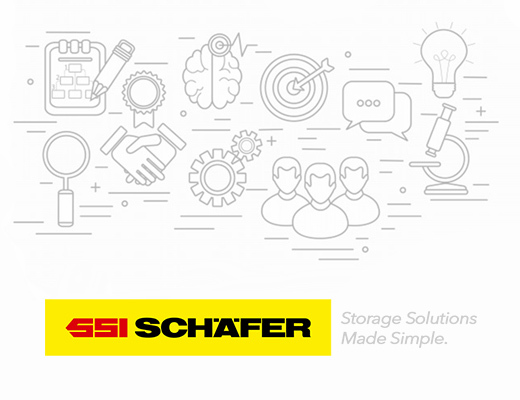 If you have questions or concerns or you want to request any of these services, please contact customer service at 800-876-6000 , or email us at info@schaefershelving.com. Damages & Freight Claims: Remember: You are the final inspector. Each order is carefully packed and inspected before it leaves our facilities, and the responsibility for its safe delivery is assumed by either you or the carrier, as applicable, upon its acceptance of the shipment. Whether Schaefer has contracted with a carrier for delivery to you (in the event you elect prepaid shipping) or provided product for pick-up by your designated carrier (in the event you elect freight collect or third party shipping) or made available to you for pick-up (in the event you elect customer pick-up), Schaefer’s responsibility for safe delivery of the products and merchandise ceases when shipments are received by you or the carrier, as applicable. Therefore, for the protection of all parties it is important that upon receipt of your order you thoroughly inspect your order and confirm that it is received in full and without damage. Along with the order, you will receive a packing list detailing all the products included in your order. You must check your order against this packing list to confirm that all pieces have been received (note: If the packing list is missing from your order this must also be noted upon the carrier’s delivery receipt). You should examine the cartons/boxes for any visible signs of damage, such as holes, re-sealed packaging, staining or wetness etc. After you have inspected your order, you may then be required to sign for the shipment to confirm that your order has been delivered complete and in good condition. This discharges the freight company/carrier/ shipper from any responsibility (note: in certain circumstances damage that was not readily visible may be accepted by the carrier as a “concealed damage” claim-see below). Any deviation in your order must be called to the attention of the carrier as required by the carrier (for example, while the driver is present) and properly noted upon the carrier's delivery receipt for damage and/or shortage. The same must then be reported to Schaefer customer service at (855) 300 2636 as soon as possible within 24 hours, but in no event later than 15 days of receipt. Replacement: Solely in the event that you elect the Prepaid Shipping option, any shortage noted on the carrier’s delivery receipt will be replaced at no additional charge, including freight costs for return or replacement, provided the notification is received within 15 days. You must provide Schaefer with a copy of the delivery receipt noting the damage or shortfall, along with a letter stating whether you would like replacement or credit. Again, if the delivery receipt is not properly notated, there is no recourse with the carrier and thus no reshipment, nor reimbursement. All damaged products plus packing materials must be kept in the general location of delivery until a damage inspection has been made by the delivering carrier. Do not dispose of any cartons or packaging until all discrepancies/variations have been addressed by the carrier or Schaefer, as applicable. If you are not the person receiving the product, you must give instructions to the person in charge of receiving the order to comply with these requirements. Failure to perform any of these conditions may cause additional charges for returns or replacements to be incurred. In the event that you elect any other shipping method other than prepaid shipping, unless otherwise specifically agreed with Schaefer, your only recourse shall be directly with your designated carrier, and Schaefer shall not be required to reship or reimburse you for any damaged or missing products. Please remember that the procedures described in the “Damages & Freight Claims”, “Replacement” and “Concealed Damages” sections must be followed in the event you elect prepaid shipping in order for you to be entitled to reshipment or reimbursement, as applicable, from Schaefer. While they may be helpful procedures for you to follow in the event you elect another shipping method, you should consult with your designated carrier to determine the procedures you should follow to ensure timely and safe receipt of your products and prompt resolution of any claims in the event of lost or damaged products. Schaefer will process the order cancellation as soon as it is received. 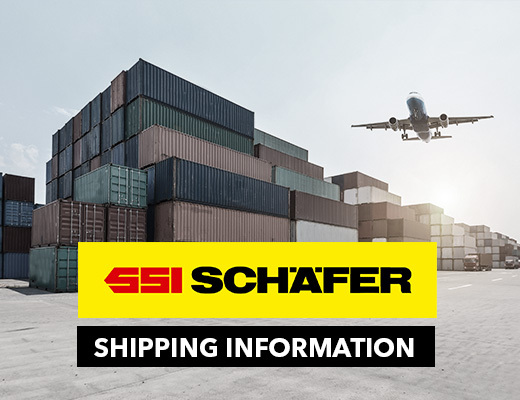 If the order has shipped, you will be responsible for applicable freight charges incurred by Schaefer, including return shipment charges. A re-stocking fee may also apply, not to exceed 25% of the total purchase price. If the order has not yet shipped upon receipt of the order cancellation, you may be responsible for re-stocking fees if the order was already prepared for shipment. Schaefer works hard with its suppliers to minimize these costs to our customers when orders are cancelled. Keep in mind that cancellation by any form of mail may not arrive in time to avoid the above-referenced charges, and it is suggested that email or facsimile with confirmation be utilized. Return Authorization - Schaefer has a 30-day return policy subject to certain limitations. To process a return, you must obtain a return authorization number by calling Customer Service at (855) 300 2636, or by sending an email to info@schaefershelving.com. Return authorization is subject to Schaefer’s shipping and return policies. Shipping costs may be applicable. Items returned without a return authorization number will be refused. Custom, special or clearance products cannot be returned. Schaefer reserves the right to refuse any return for any reason or for no reason at all. Unopened, unused products returned for credit - Upon receipt of any unopened and unused returns, Schaefer will, in its reasonable discretion, issue a refund or a credit to Buyer in the amount of the product purchase price (less a 25% restocking fee, as determined in Schaefer’s sole discretion) within 30 days of Schaefer’s receipt and acceptance of such return. To return items, you must obtain a return authorization number and correct return address. Items returned must be shipped prepaid; collect shipments will be refused. If an item is not complete and resalable, credit will not be issued and a handling fee may be charged. Some manufacturers will not accept returns for any reason at all. Unopened, unused products returned for replacement with another item -Replacements will be treated as a new order. Follow above instructions for returning unopened, unused products. Your new order will be processed, credit card or customer account billed and product shipped promptly. Credit for the returned item will be issued upon receipt and inspection. Defective/incorrect product returned for replacement -We will replace most defective/incorrect items within 30 days of delivery date. Returns of defective/incorrect product will be arranged by Schaefer and must be accompanied by original order number. We will ship a replacement promptly. If Schaefer determines that the item returned is not defective / incorrect, you will be subject to ALL additional charges, including return shipping and call tag fees if applicable. Defective product returned for credit -Schaefer will issue a credit for most defective items within 30 days of Schaefer’s receipt of the returned item. Returns for replacement must include all product and literature in original packaging and must be accompanied by original order number. Schaefer will, in its reasonable discretion, issue a credit upon receipt and inspection of the product. If Schaefer determines that the item is not defective, you will be subject to ALL return shipping charges, including call tag fees if applicable and a 25% restocking fee. Non defective items that have been used may not be returned for credit or replacement - Non defective items that have been opened or have a broken seal may be returned, however, they may be subject to a 25% restocking fee and/or additional fees. We are not liable if you order the wrong product and are not obligated to accept any such products for return and credit. We do our best to provide complete, accurate descriptions about all items we sell through the Site. To ensure that you are ordering the correct item, or if you have any questions regarding the Site or any Site Materials, call our customer service department during normal business hours. Since product specifications change often, any uncertainties should be addressed before a purchase is made. Manufacturers will not allow opened, non-defective items to be returned for credit or exchange.